Pale yellow straw color. Fruity, yeasty aromas and flavors of peach yogurt, vanilla sour cream frosting, spiced pears and apricots, and geranium with a soft, crisp, fruity light-to-medium body and a smooth, compelling, medium-length finish that shows nuances of melon, minerals, and pressed flowers with fine, chewy, fruit tannins and no oak flavor. A very subtle, drier Alsatian style gewurztraminer with lots of food pairing possibilities. 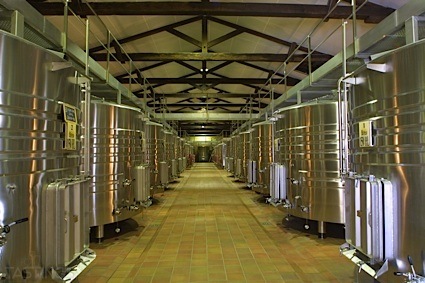 Bottom Line: A very subtle, drier Alsatian style gewurztraminer with lots of food pairing possibilities. 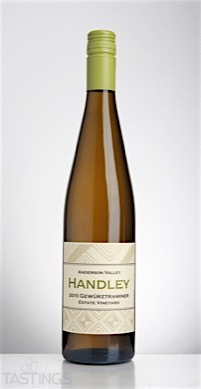 Handley Cellars 2015 Estate Vineyard, Gewurztraminer, Anderson Valley rating was calculated by tastings.com to be 89 points out of 100 on 11/15/2016. Please note that MSRP may have changed since the date of our review.